Robots and the economy: Red herrings, or canaries in a coal mine? Recent economic trends are perplexing. Corporate profits are up. Productivity is up. Jobs and pay for the average worker have crashed, and are recovering slower than in any other decade on record. Many explanations for this paradox center on the role of technology: with the help of rapidly-advancing technologies (particularly information technologies), workers can produce that much more in output with that much less in input. Work is scarce and wealth is increasingly in the hands of a few. This leads many of us to be scared, angry and curious about the future. Robots are a lightning rod for these emotions and questions. This post is part of Robohub’s Jobs Focus. Recently, many of these explanations, predictions and proposed solutions focus on robots. Robots seem to have found their way into an increasing number of titles, photos and articles about our economic future, whether from economists like Paul Krugman, journalists like John Markoff, roboticists like Rod Brooks or futurists like Ray Kurzweil. Disagreement about robots and our future is flying fast and furious. Are we on the edge of a robotics revolution, analogous to the PC revolution of the 70s? If so, will we see similar patterns of economic activity – automation of a great deal of work, death of some occupations, birth of others? Are current-day robots a harbinger of times to come, just as canaries were for coal miners until the early 20th century? Or are we experiencing a “robot revolution” in name only? Are cutting-edge robots like Baxter a red herring – do they misdirect our hopes and fears about our future? If you’re looking for the punch line of this piece, here it is: we have evidence that robots are both red herrings and canaries in a coalmine. We are arguing about this issue as if it’s either/or when both views can be usefully seen as true. Imagine a robot that costs almost nothing to produce (as in less than a cent), costs almost nothing to ship, that runs on almost no power, that could be customized for a wide variety of applications and that could execute billions of tasks every second. Obviously this robot would be software. We’d be excused for assuming it would sell pretty well, and for assuming software might play some role in the economy. Because it already has. According to the BES, there was an installed base of 1.85 trillion dollars of software and related hardware in the US in 2011, which has grown an average of about 3.3%/year since 2004. Though there is ongoing disagreement about the role of IT in our economy, recent analysis lends strong support for the view that IT is mostly being used as a substitute for human labor on routine, non-physical tasks. Many economists point to IT as a key contributor to the “hollowing out” of the global economy – otherwise known as the “death of the middle class”. As Erik Brynjolfsson of MIT is fond of saying, it’s hard for a tax preparer to compete with TurboTax – especially when this software is actually free these days to new users, and integrates seamlessly with Mint.com, a free, online tool for personal finance. From this angle, software has had a truly massive impact on the kinds of tasks humans can do and get paid for. On a global scale, we’re talking hundreds of millions of jobs and livelihoods, broad changes to the structure of work and occupations, and dramatic shifts in the way we encounter each other and the working world. Yet when we talk about change associated with technology in the economy these days, we talk mostly about robots. This seems a little strange, given that the IFR (a global authority on the robotics industry) estimates that there is an installed base of just 9 billion dollars of robotic systems in US and Canadian industry put together. That’s less than half a percent of the installed IT base. While recent growth numbers are large (38% in 2011), the IFR projects the global annual growth rate at about 6% through 2015. At quadruple this rate, it would take robotics 23 years to catch up with IT, assuming IT stood still. So if we want to investigate the technologically-related automation of jobs, work and the economy, maybe we should be focusing more (maybe a lot more) on Watson, Google and Robo-Traders on Wall Street. Maybe robotics is a red herring. But then again, maybe not. Many roboticists, economists, and journalists are claiming that we are on the cusp of a period of discontinuous progress in robotics technology. If this is true, then maybe we’ll soon see exponential – not linear – growth rates in robotics. Then again, maybe we already have. How could we tell? One promising first step is to judge robotics based on performance per unit of time. While Moore’s law predicts the number of transistors on a chip as a function of the passage of time, its progress is almost perfectly correlated with performance-oriented metrics in other domains, such as processing speed, memory capacity and sensor quality. From this perspective, it is reasonable to assume that robots’ performance of basic tasks would correlate well with progress in underlying technical domains. If it hasn’t, then a revolution seems less likely. Given that we all seem concerned with robots that may replace non-routine physical labor, Rod Brooks has suggested in a few talks that we should look at performance in autonomous robotic navigation as an indicator of progress. This does seem like a reasonable proxy: autonomous navigation requires a system to sense its environment, plan next steps and enact those steps through actuated movement, more or less without human input. The greater the performance of such a system, the more sophisticated each of the component technologies (sensors, AI and actuation). These requirements and related technological progress seem likely to generalize to other physical tasks in a dynamic environment. Are we willing to bet our national education and job training investments on the assumption that the arrival of cheap autonomous robots is a hundred years away? Fifty years? Thirty? If anything, this approach may underestimate the rate of change; the task has gotten more difficult. The 2005 Darpa Grand Challenge cars would have made much better time if they had to traverse 212km in a straight line, indoors, with no obstacles. Incidentally, the cost of just the camera on Moravec’s 1979 robot was $159,000 (in 2012 dollars); a far superior camera can be purchased today for less than $1. Put together, this indicates the cost of robotic systems is dropping rapidly just as performance is increasing exponentially. While it is all the rage to predict the future based on exponential technological trends, this “back of the envelope” exploration should put us on notice: stories of linear progress in robotics should be justified, not taken for granted. Work is scarce and wealth is increasingly in the hands of a few. This leads many of us to be scared, angry and curious about the future. Robots are a lightning rod for these emotions and questions – they move with apparent intention, they do tasks that sit at the core of what most of us define as “good, honest work”, and they’re rapidly getting cheaper and more capable. If we want to point a finger at technologies that are “responsible” for the inequities and challenges in our economy, however, it seems pretty clear that we should be pointing to IT. The vast majority of tasks that are being handed off to technology are still going to software and computers, and the evidence indicates that this will be true in the short and medium term. Robots are a red herring from this perspective. If this transition is going to happen on a mass scale, at best we probably have seventy years to prepare for it. That’s only two generations away, and that means we should be planning for it now. 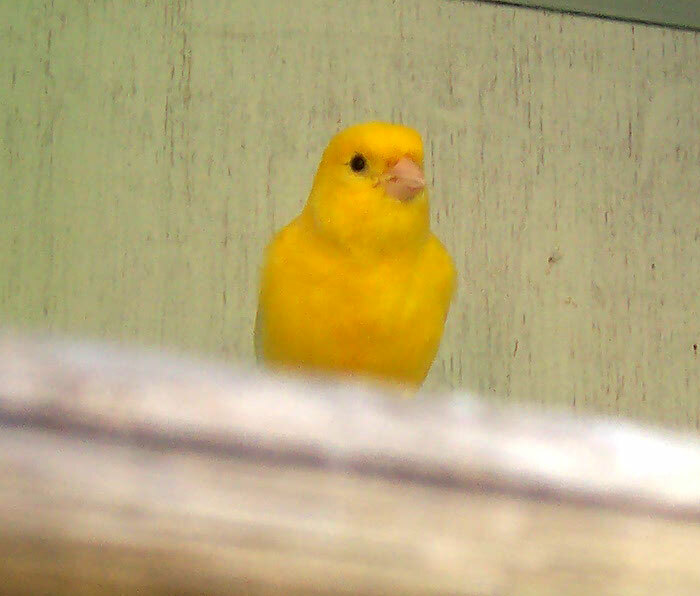 But from another perspective, they are also canaries. 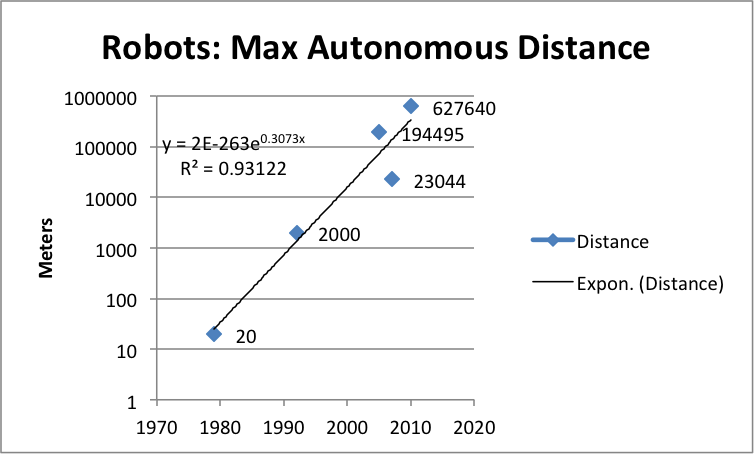 We have seen apparently exponential progress in robotic capacity over the last 30 years. How many of us think that, in a hundred years, we won’t have highly autonomous, mobile, dexterous robots that can adapt to a wide range of tasks in a wide range of environments – for less than the cost of human labor? Are we willing to bet our national education and job training investments on the assumption that this is a hundred years away? Fifty years? Thirty? If this transition is going to happen on a mass scale, at best we probably have seventy years to prepare for it. That’s only two generations away, and that means we should be planning for it now. See all the posts in Robohub’s Jobs Focus.